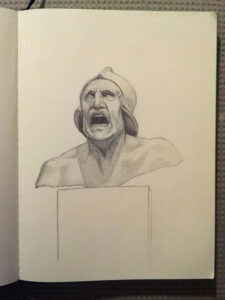 I often use the HISTORISK Sketch book from IKEA for it has a slightly tinted and smooth paper, which I like very much. IKEA has them in two sizes (20 x 15 cm and 14 x 10 cm). 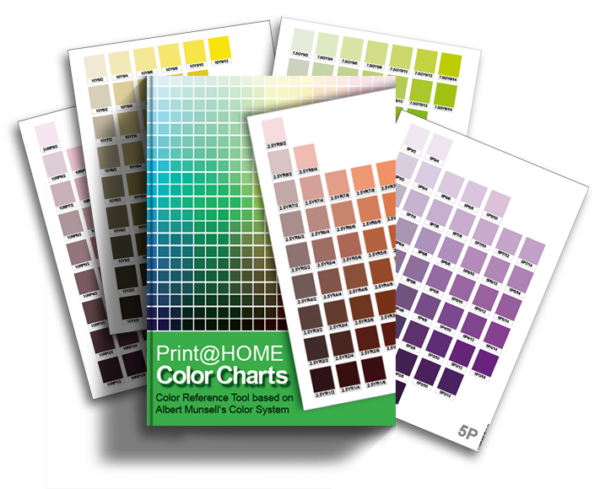 They come in different cover colors and have nice ink illustrations on the front and back and so do the other HISTORISK products. If you are interested in it, check if your IKEA has it. I don’t know which country has it in the program but I bought me a couple of these just in case they will be discontinued in Germany. 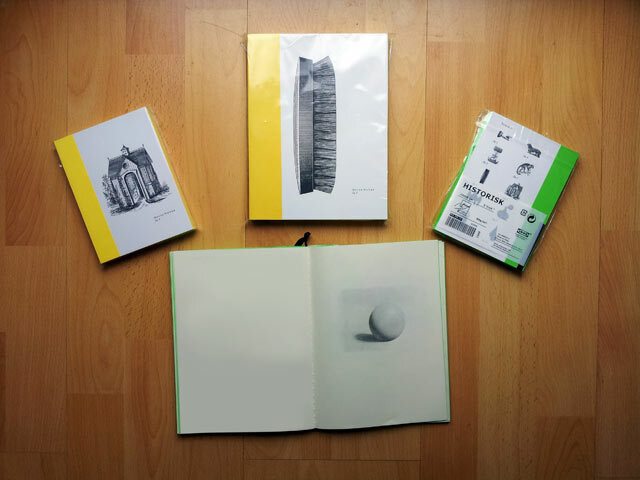 Here are some drawings I did with an HB Faber Castel mechanical pencil and a kneaded eraser. 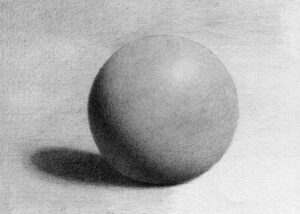 The sphere is from imagination, the bust is a drawing I did around the corner last year. 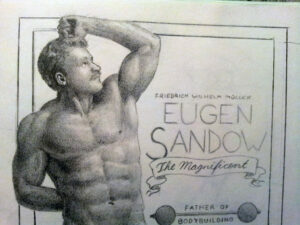 The muscle man is Eugen Sandow – father of Bodybuilding. He presented his body powdered in chalk and posed to look like Greek statues. 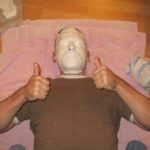 If you are thinking that you have seen this guy on this blog before you are right. 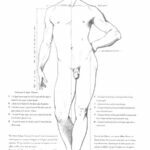 A photograph of him served as my post image for the article “Learning anatomy through Bodybuilding“. 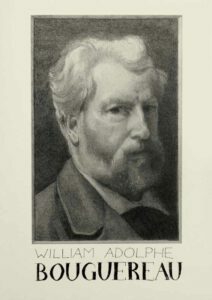 The last is a Bouguereau portrait. 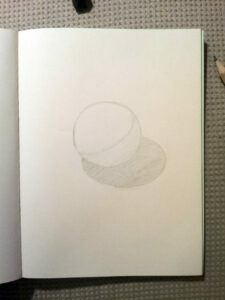 Also here I solely worked with the HB Faber Castel mechanical pencil and the kneaded eraser. The lettering was done with a PICMA MICRON 02. And what is the IKEA pencil good for? 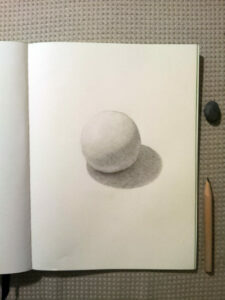 Well, an IKEA pencil is not the best you can use but it fulfills its purpose. Obviously they are meant to be used only once but don’t we all have them at home from our last furniture shopping? The IKEA pencil has a hard lead which is very sharp. One needs to be careful not to scratch the paper or push too hard. 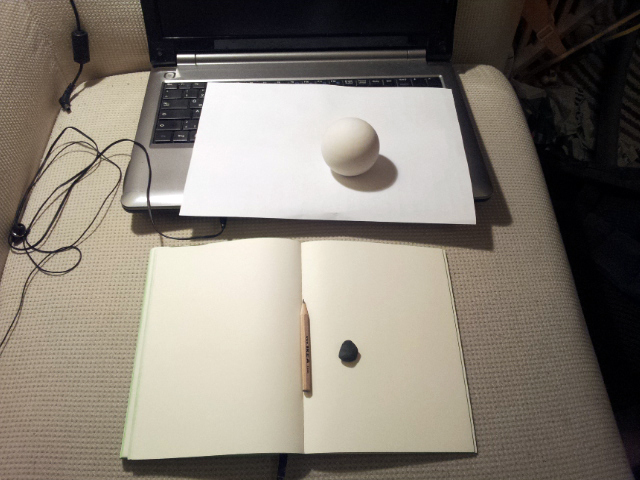 What I used: a plaster sphere which I sell in my Online Shop, a plain white paper under the sphere, the HISTORISK Sketch book, the free IKEA Pencil, a kneaded eraser and the IKEA NOT lamp with its spot light (not shown on the photo). 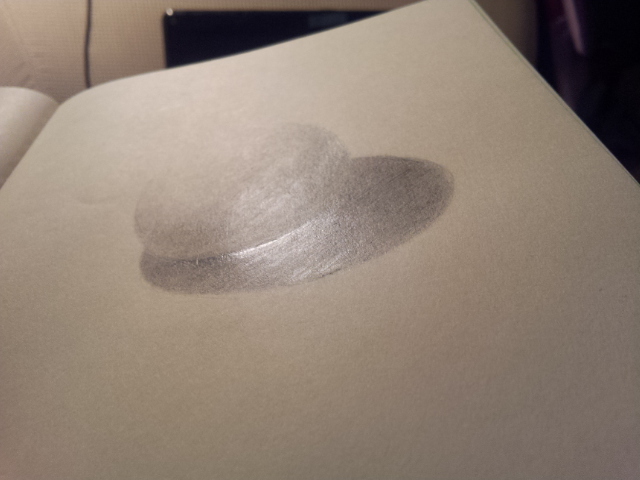 Look how shiny the paper has become. 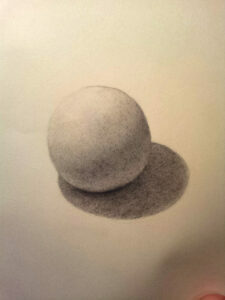 The IKEA pencil is simply too hard to get some dark tones on paper. You can try but you will scratch the paper. 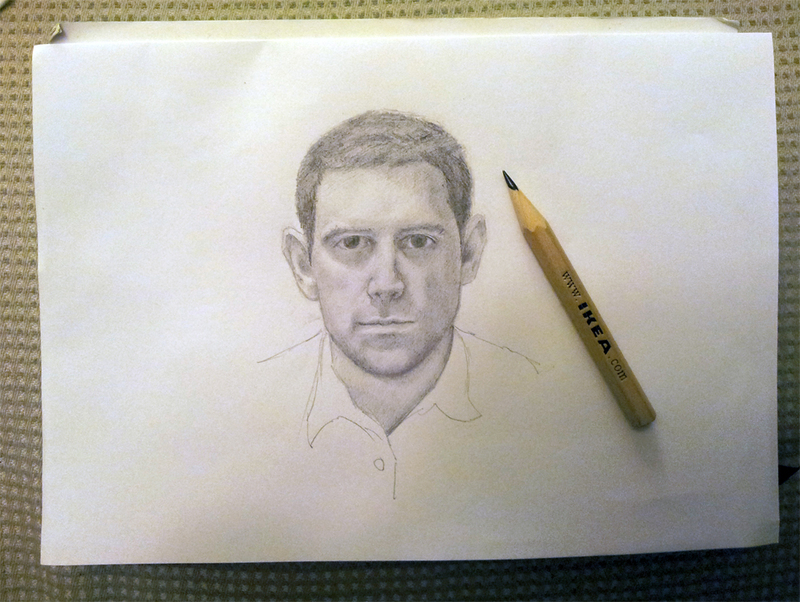 Last year I drew a self portrait for fun with this pencil on a regular printer paper. You can tell from my facial expression that I did not really enjoy drawing with it and how it turned out. Do you use any IKEA materials for your art? Write me in the comments.